Scent is a big thing for me. I like it when my clothes smell good. I like it when my car (well, when I had one) smells good. I especially love it when my home smells good. It’s exactly what makes your stomping grounds feel like home to begin with. As a result, I’ve burned a lot of candles in my time… which got expensive. I also couldn’t help but think about what the heck I’m actually inhaling. Ugh. This batch was made with natural scents and an AWESOME sugar skull silicone baking mold. 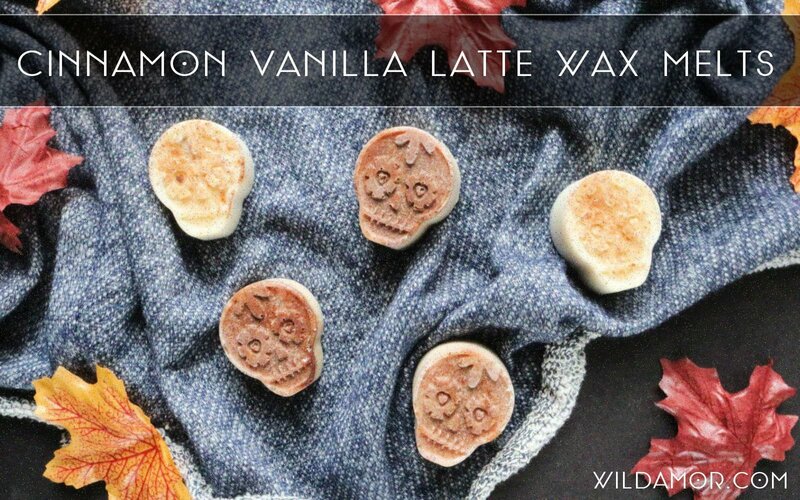 Obviously, you can make these in any scent/mold that you’d like… but you know I had to get down the autumness. * These measurements may be different depending on the size and depth of your mold. 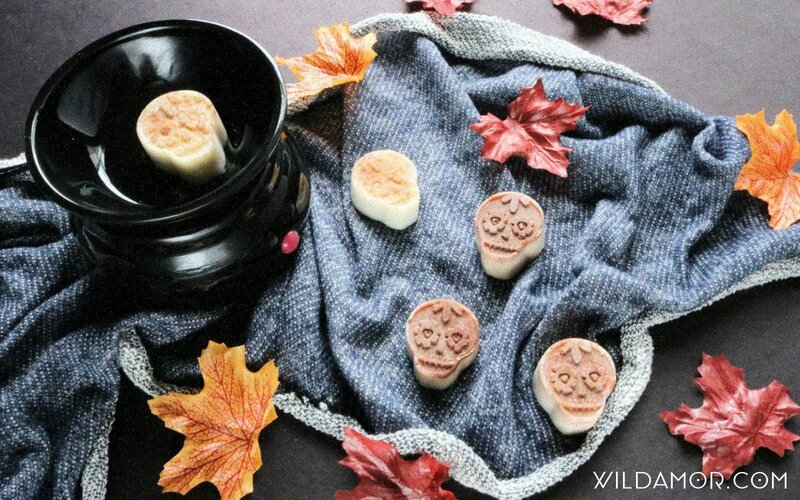 These sugar skull silicone molds are 3/4″ deep and were purchased at Michaels. 1. Melt the wax flakes according to the manufacturer’s directions. If you are using microwavable soy wax flakes, use a microwavable-safer with a handle. I’d recommend heating the wax in equal increments, checking it every so often. Always keep a close eye on the wax and never leave it unattended. Also, don’t forget to use oven mitts. Safety first, people. 2. Once melted, add the coffee, vanilla extract, cinnamon, and cinnamon essential oil. Mix well until the cinnamon dissolves. 3. Sprinkle cinnamon directly onto the molds, if desired. Using oven mitts or gloves, carefully pour the wax into the mold. The coffee grounds will hang out at the bottom of the jar; make sure the bulk of this does not end up in the mold. It’s okay if a few grounds do — but if too much is added, the grounds will sink to the bottom and create a thick layer of coffee. As a result, the details of the mold won’t be visible. Just a light layer of coffee grounds is enough to do the trick. However, if you’re using a simpler mold like squares or leaves, feel free to pour everything right in! The last few melts will most likely have more coffee grounds in them; you can tell which ones they are in these photos. These have just enough of a brown hue to really highlight the skull details, so I’m into it. 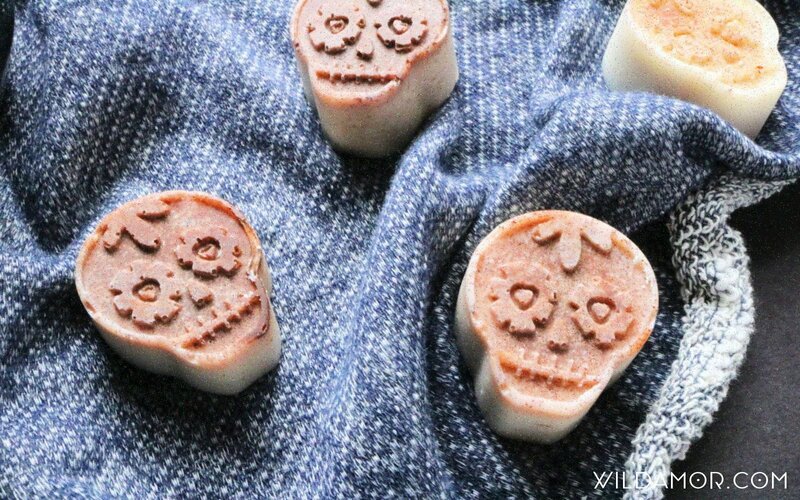 Unlike their store-bought counterparts, these handmade melts don’t contain petroleum-based wax, artificial dyes, or harsh aromas. They’re also extremely budget-friendly. I can see a bundle of these being pretty rad as a gift. Just add a few to fabric drawstring bag and you’re good to go.